It is with great pride that I accept the role as Captain of Monkstown FC for the 2018/2019 season. Firstly, I would like to take this opportunity to thank our outgoing captain Brian Flaherty for all his work and commitment to the club over the last few years. I would also like to congratulate our incoming President, Pierce FitzPatrick and I wish him every success during his year. As this year’s Captain, it is with great pleasure to welcome all players, members, supporters and referees to Sydney Parade. 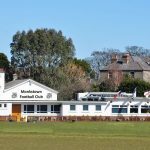 Our clubhouse is one of the finest in the country, and our pitches are a credit to Dale and Jack, our groundsmen. This year we have seen a large number of new players to the club, I want to thank our current squad for making them feel so welcome. With over ten nationalities, our current squad defines diversity and inclusion. I would like to take this opportunity to thank all our club sponsors and our club committee, your efforts to provide top class facilities for the club will come to fruition in December of this year with the opening of our new gym and changing facilities. The effort and commitment you give to the club does not go unnoticed. David Mahon continues as head coach this year, with Chris O’Connor continuing to take the mantle of forwards and defence coach. Last year’s captain Brian Flaherty will take over as strength and conditioning coach and has already ensured the squad are ready for the new season. I would like to take this opportunity to thank Blaithin Brady who has come back from her own injury to take over as physio once again, her wealth of experience is invaluable to the club. I would also like to thank David Kilbride & Fosi Pala’amo who will coach the 2nd XV again this year and our ever diligent Damien Stack who will continue as our video analyst. Finally I would like to thank our team manager John Carroll and social secretary and club stalwart Ed Sweeney for everything they do for our club. Although last season was a difficult one in terms of results, it is a credit to this group on how they’ve responded. As a club we hope we can give our supporters something to cheer once more this season.